We have launched a new Plugins system that enables you to integrate 3rd party services to your website. 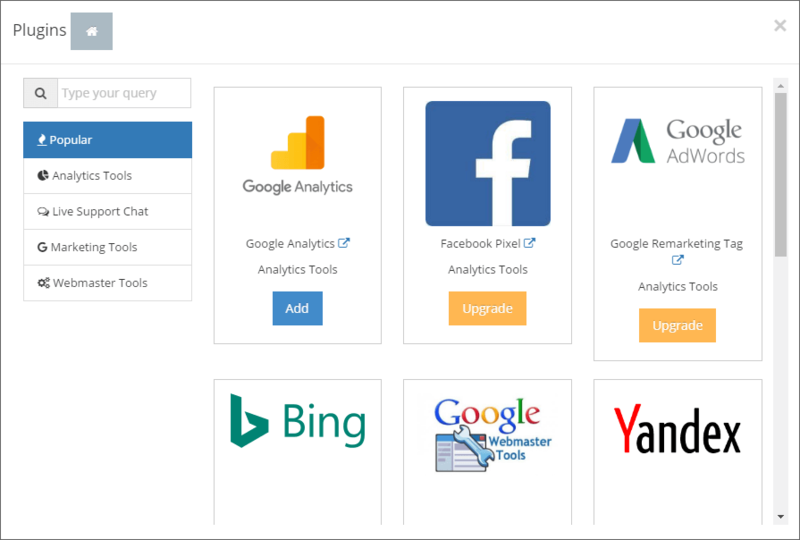 The plugins are divided into 4 sections including Analytics Tools (Google analytics, Facebook pixel and Google remarketing tag by Google Adwords), Live Support Chat plugins to help you establish the connection with your customers through chat on-line, Marketing Tools and Webmaster Tools such as Bing, Google and Yandex. More than 2377 SITE123 websites created in US today!